9:30pm. If you're a working VO actor who wants to book more work, don't miss this opportunity to learn what you need to shine in all of your animation voice over auditions! For this intensive, Jen will hand select ANIMATION COPY for you based on your AC profile information. You'll have the opportunity to really hone your skills at the mic in our V/O studio where she'll give you extensive re-directs to help you perfect your next audition. All work is in a group format so you can not only benefit from your own feedback, but from watching other artists work as well. For this intensive, Jen uses her book - CONFESSIONS OF A CASTING DIRECTOR and requests that if you have it to bring it to the intensive. If you do not, Actors Connection will have it available for purchase at our front desk for $20. Currently, Jen is interested in meeting talent of all types and ethnicities (18+) for current and future projects. Limited to 12 voice over actors. Jen Rudin is an Award-Winning Casting Director who grew up in New York City and began her professional acting career at age eight. 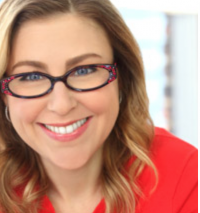 She is the author of Confessions of a Casting Director: Help Actors Land Any Role with Secrets from Inside the Audition Room (HarperCollins) and pens a monthly column for Backstage on voice over casting called Speak Easy. Currently, she's working on a variety of projects for Google, Riot Games, the animated TV Series BING, and two animated feature films in production. Recent projects include: the feature films THE AMERICAN SIDE starring Matthew Broderick and SHE'S FUNNY THAT WAY, directed by Peter Bogdanovich, starring Owen Wilson and Jennifer Aniston, and ongoing commercial campaigns for Macy's, Charmin and Porsche, and FIVE pilots for Disney! Jen spent seven years as a Casting Executive at The Walt Disney Company. From 2002-2007, Jen served as head of casting for Walt Disney Animation Studios in Burbank, California and she won the 2006 Artios Award for casting Chicken Little and the 2010 Artios Award for The Princess and the Frog. From 2007-2009, she served as Director of Casting and Talent Development for Disney Theatrical Productions in New York City. Her company, Jen Rudin Casting, casts commercials, television and animated features in New York and LA. Recent TV animation credits include the series BING, ARCANE (Riot Games), THE NUMBERLYS (Amazon) and PETER RABBIT (Nick, Jr.). 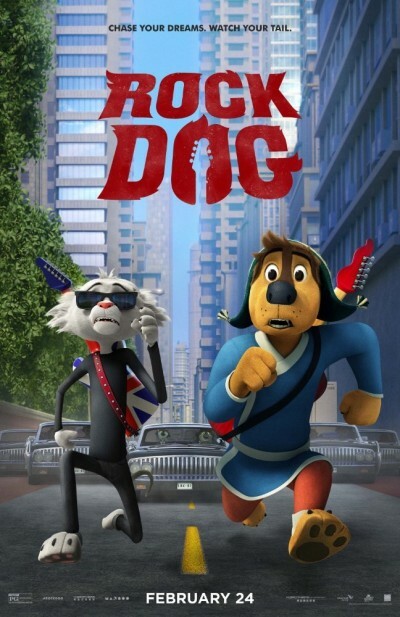 Upcoming animated features include ROCK DOG (Lionsgate) and THE WISHDRAGON. Recent live-action projects include Peter Bogdanovich's film SHE'S FUNNY THAT WAY starring Owen Wilson and Jennifer Aniston.